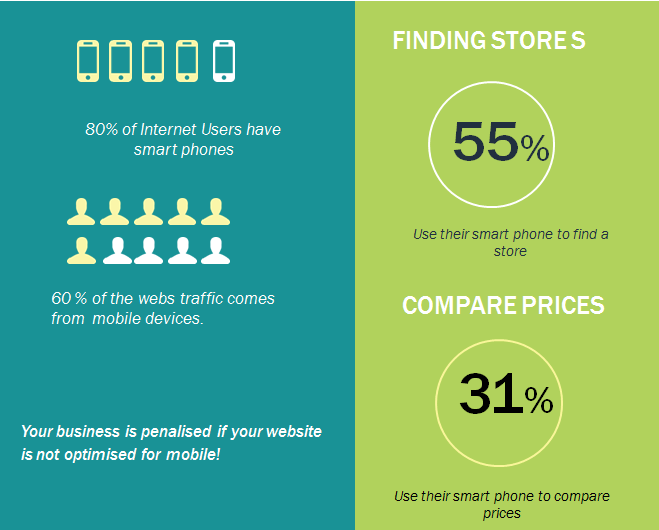 Strategus / All / Mobile Optimised Website – What the Numbers Say. Having a website that’s mobile optimised (or a responsive web design) is a necessity in today’s environment. Surprisingly there’s still a horrifying number of websites that fail to meet this mark, especially amongst small and medium sized businesses. This shows high usage for mobile devices, which I’m sure will correlate with your own website usage data.